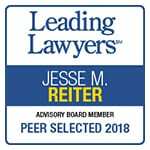 October 9, 2017 /0 Comments/in Birth Injury, Michigan Birth Injury Attorney /by Reiter & Walsh, P.C. 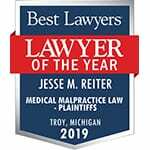 September 25, 2017 /0 Comments/in Birth Injury, Michigan Birth Injury Attorney /by Reiter & Walsh, P.C. Attorney Emily Thomas Admitted to Practice in the U.S. Supreme Court! 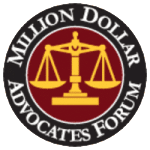 January 11, 2017 /in Michigan Birth Injury Attorney /by Reiter & Walsh, P.C. Reiter & Walsh ABC Law Centers Attorney Euel Kinsey Volunteers with Operation Good Cheer to Fly Presents to Michigan Foster Kids! December 8, 2016 /0 Comments/in Michigan Birth Injury Attorney /by Reiter & Walsh, P.C. November 3, 2016 /in Michigan Birth Injury Attorney /by Reiter & Walsh, P.C. October 13, 2016 /0 Comments/in Michigan Birth Injury Attorney /by Reiter & Walsh, P.C.